You will find Les Trois Vallées in the otherworldly French Alps. This area is made up of three valleys which, in turn, are home to eight different dedicated ski zones. As the largest interconnected ski area in the world, this destination boasts 118 lifts and spans across 600 km. It is also conveniently located close to airports. You will find great diversity in the Three Valley ski trails because of the vast expanse the region covers. All slopes of the eight different resorts have consistent snow records and slopes undergo maintenance every evening. You can expect runs of great widths along with snow coverage over the entire ski season, thanks to the area’s high altitude and the use of snow cannons to supplement the slopes where necessary. With resorts generally having easy access to a number of different slopes, much of your decision in terms of where to stay will rest on whether you would like to indulge in some serious parties or if you want some peaceful repose after a day of being on the slopes. For this reason, it’s best to investigate the resorts individually to see which one provides you with the best fit. 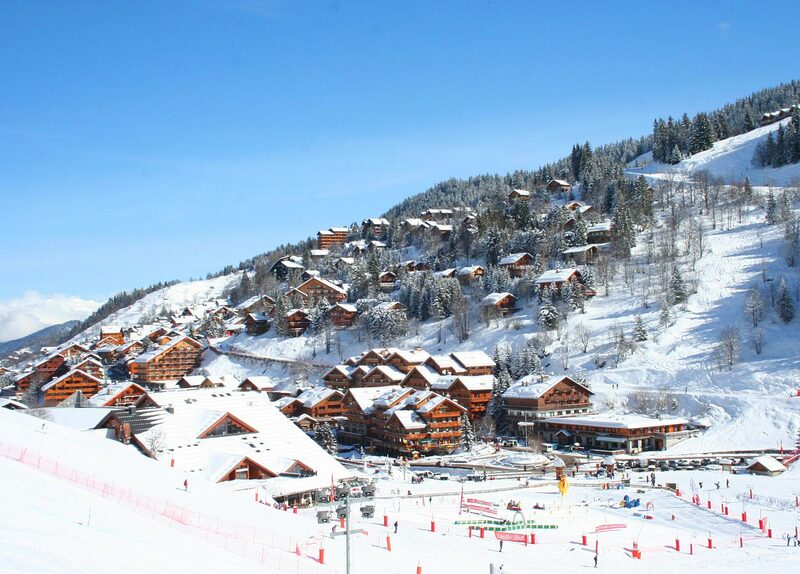 Courchevel – Made up of five different resorts, this part of the Three Valleys caters to families, non-skiers, groups and those seeking the thrill of off-piste skiing. Some of the resorts here are definitely ones where you can immerse yourself in luxury, which is why it has a reputation for being the destination of choice for many celebrities as well as the Paris elite. St Martin de Belleville – The main quality that sets this resort apart is the fact that it gives visitors the chance to experience the essence of traditional France with its quaint village and old-world magnetism. This resort offers efficient lifts, a number of ski schools for those just starting out, as well as the opportunity to try out or practice some cross-country skiing. La Tania – Set amidst picturesque pine trees, this is a smaller resort with a quieter nightlife than some of its neighbours in Les Trois Vallées. Despite this, there are enough bars and bistros ready for your indulgence, and its welcoming atmosphere makes it a wonderful point from which to access the valleys’ seemingly endless amount of runs. It’s especially suited to families and groups, and beginners can look forward to free lift access for the gentler slopes. 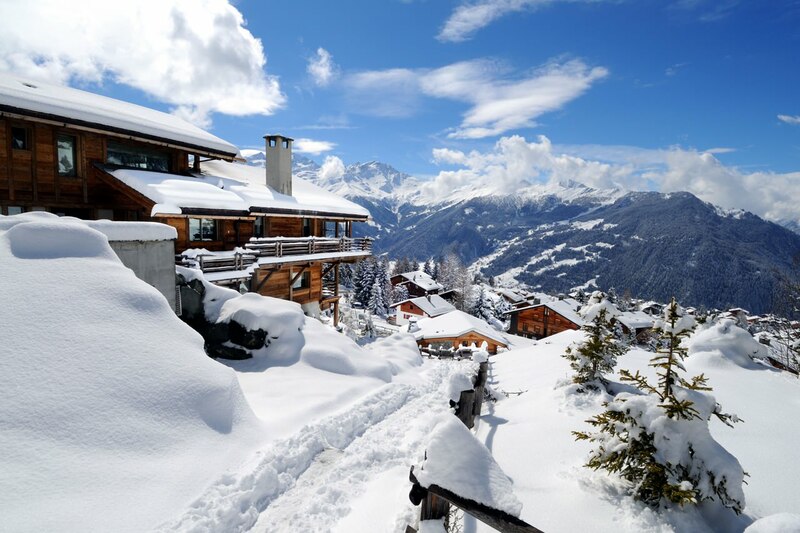 Mottaret – Relatively high up, this resort was built with the aim of ski-in ski-out convenience and is a good destination for groups, families and lovers of off-piste skiing. It is part of the Meribel valley and is heralded as a good choice for early or late season visits. You can also take advantage of shuttle buses that run between this resort and the villages around it, giving you access to more than just one destination’s activities. Val Thorens – Has fine off-piste runs and is a good choice for both groups and families. The slopes here are celebrated as some of the best on a global scale, offering the best of advanced, intermediate and beginner skiing. Non-skiers are also well-catered for, with a surplus of activities to enjoy in the village, just some of which include night-time skidoo rides, a sports centre and a cinema. The nightlife here is a vibrant one, with clubs, bars and restaurants waiting for you to stop by. 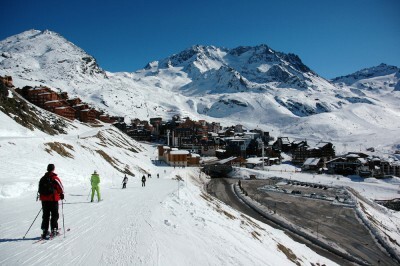 Meribel – Perfect for group visitors, this resort finds itself at the heart of the Three Valleys. Its location allows skiers with all abilities and preferences to find their niche. Lengthy, demanding pistes are plenty for advanced skiers, while intermediates also have enough slopes to preoccupy them year after year. Beginners are treated to dedicated areas and lifts. Brides Les Bains – Situated below Meribel, this resort places you close to all the skiing benefits that its neighbour does. Apart from that, it’s a cost-effective option in the Three Valleys which is known for its spa facilities, quieter nightlife, as well as a casino, some bars and restaurants. Les Menuires – Another option that is easier on the budget, this spot’s creation was centred around providing easy access to ski runs, with most accommodation placed on-piste. It’s well-suited to families and there are also numerous activities for the culturally inclined, including classical concerts (among many others). Other snow sports available here include toboganning (think Cool Runnings), snowshoeing and ice-skating. Visit the world-renowned Three Valleys to experience never-ending variety, the type of food that makes France famous and an all-round stellar ski holiday.